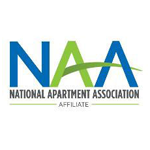 Establishing a Smoke-Free policy in an apartment community has not only been a growing trend with rental housing providers in Washington and across the country but is now common place in our industry. Landlords nationwide and locally have developed a reasonable step-by-step process for implementing a smoke-free policy in their communities. Property owners find this kind of policy is good for business and a clear win-win, lowering costs and risks for an owner and providing a healthier, safer, greener environment leading to happier residents. The most important part of Step 1 is making the decision to go smoke-free. Consulting with building owners, employees and residents will give you the initial buy-in needed to make the commitment. Then, develop a clear policy and understand and communicate the reasons for the decision. 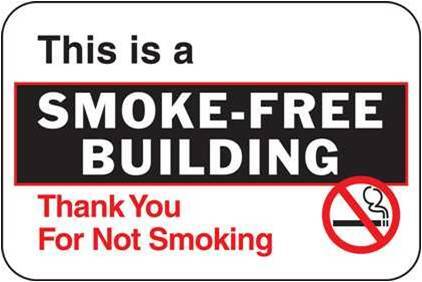 100% smoke-free includes prohibiting smoking in the interior of all units, in any common areas, on patios or balconies, and within 25 feet of any building. If possible, you may create designated smoking areas. For example, a nice outside gazebo on the property which may be far away from any buildings, play areas or other well-traveled public spaces are all good options. Determine when and how you want to implement your new policy. Establish a starting date for any new residents to be bound by the no-smoking policy. Then determine the starting date for existing residents to fall under the new policy. Develop a No-Smoking Lease Addendum or new lease language. (A sample lease addendum language is available on the websites shown at the end of this article) Initiate all new leases with the new no-smoking language included. Communicate the policy by notifying residents of the reasons for going smoke-free and the benefits to the community. Give existing residents a time period in which the new policy will become effective and an opportunity to sign the new lease addendum. For existing residents who are on term leases which expire at a future date, it is advised to make the effective date for the new policy for those residents upon lease expiration and renewal. Prepare your legal written notice to residents giving notification of the change in policy. It is best to give ample time, beyond the legal notice requirements, to give existing residents time to acclimate to the new policy and have time to meet with management if desired. You may decide to honor existing term leases in place and enact the new policy when those leases expire in the future. Train staff to be spokespersons for the new policy and the reasons the property has chosen this new rule. Make sure in your leasing presentations that the benefits of the amenity of a no-smoking policy are promoted. Include “no-smoking” in your online marketing. The property offers a cleaner, healthier environment for all residents, free from smoke drift that can cause health issues for infants, children, elderly and those with existing health conditions. Sell this benefit. It may set you apart from the competition. Education and communication about the new policy to residents, employees and other affected parties is crucial to successful implementation and enforcement of the policy. Enforcement starts by setting clear expectations at the outset of the tenancy. Then, enforce your new policy just as your management would any other policy, such as loud music, parking infractions, clutter, etc. No-smoking policies are largely self-enforcing. Once the rule is established, you are likely to attract tenants who want to live in a smoke-free environment. Document any potential violations, meet with residents to discuss any policy violations and follow your standard progressive discipline measures of resident notification. Simply working with residents in a customer-friendly manner typically achieves the best results. Post signage alerting residents and guests that smoking is not allowed on the property. Studies have shown that in most cases, after implementation of a no-smoking policy, you will find that turnover costs will drop, fire claims will be reduced, resident complaints of smoke drift will decline, and insurance costs will ultimately go down. Customer and employee satisfaction will increase, and occupancy in many cases goes up due to the attractiveness of the amenity. You will have happier residents who will want to stay in your community. In Washington state, residents can smoke recreational marijuana in the privacy of their homes. No doubt, this has added to the occurrence of complaints about smoke and odors drifting into other apartment units. A landlord’s best response to this is to convert a property to smoke-free by enacting a no-smoking policy. Keep in mind that formal reasonable accommodation requests can be made with regard to medical marijuana. Note, however, that landlords are not necessarily required to make accommodations for a resident to smoke, especially when an alternate accommodation may be possible. Implementing a no-smoking policy may be in the best interest of a property owner and is not as challenging as one might suspect. There is clear precedence and many resources for making this happen, and now may be the time to act.